Take our Healthy Breakfast Challenge next week! We have a new challenge for you! 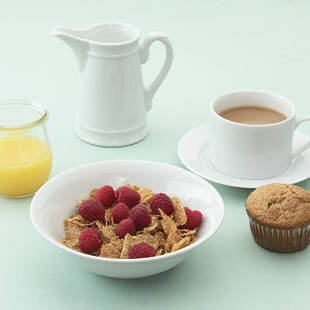 The challenge is to eat breakfast—and a healthy one—every morning this week. Visit the Healthy Breakfast Challenge page each day this week for a new, easy tip. As an added incentive, we're giving away a copy of The Simple Art of EatingWell to one lucky participant. All you have to do is share your favorite, healthy 3-ingredient breakfast and we'll pick our favorite response next Friday, July 22. Good luck!